All servers are back online, Ragnarok now open to public!!! All servers are back online. 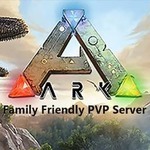 Please note that the ArkFam.com Ragnarok server is now open to the public so you will need to uncheck the password box in order to see it com up in your server selection menu.